How much impact do the books read in one’s youth have? In the case of my best friend and me, a lot! 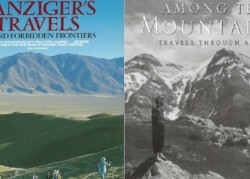 We had always hankered to visit the places described in our favourite tomes. 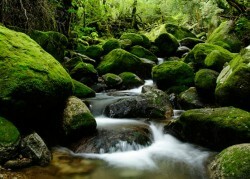 To see, feel, touch and experience them for ourselves. So in June 2017, that was exactly what we decided to do: Embark on a self-drive literary tour of the United Kingdom (UK). The tour began, as all literary tours must, with the most towering figure in English literature – William Shakespeare. 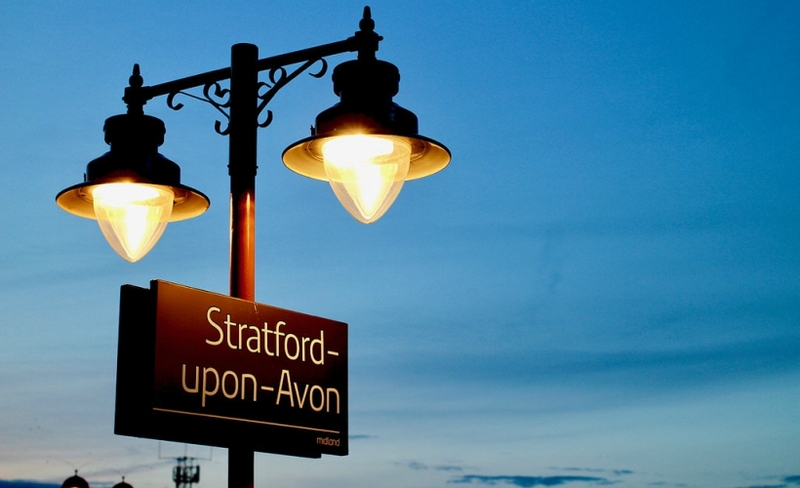 The first stop of our journey, Stratford-upon-Avon, gave us an insight to the life of arguably one of the most influential writers of many generations. The Bard dominates the tiny market town of Stratford-upon-Avon. His birthplace is to be found right in the middle of town along with his Schoolroom and Guildhall, as well as the New House which he built and resided after he became a successful playwright. Shakespeare continues to overshadow even the outskirts where Anne Hathaway’s Cottage and Mary Arden’s Farm is located. The former was the childhood home of Anne Hathaway, Shakespeare’s wife, although the word ‘cottage’ is a bit misleading as it boasts acres of gardens including a woodland walk, arboretum and a lavender maze. On the other hand, the farm was home to Shakespeare’s mother and is today a working Tudor farm that caters to tourists. Access to all the historical buildings connected to Shakespeare cost GBP22.50 per adult. 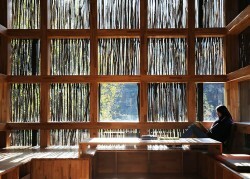 Individual tickets to the various attractions are also available for those who would rather not complete the full tour. Tip: Book online for a 10 per cent discount. For play buffs, no Shakespeare tour is complete without a visit to the Royal Shakespeare Museum where his plays are performed daily. The second day saw us in the City of Dreaming Spires, Oxford, where Lewis Carroll wrote Alice in Wonderland. 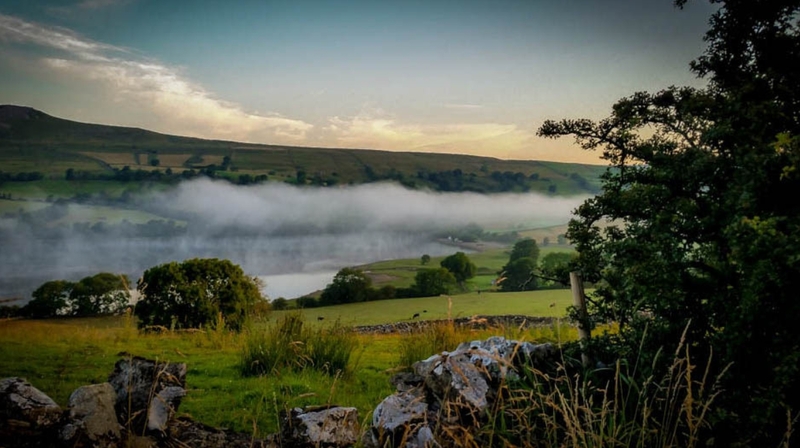 A university town, there’s too much to see and do, from museums and centuries-old universities and colleges, to stunning parks and lakes and castles. Arriving here made us realise our biggest mistake – that one day is not enough for Oxford! So we did what all sensible tourists would: Get on a hop-on-hop-off city tour bus to get a feel of the place. Most of the colleges are off-limits to the general public, but for GBP7 per adult, you can visit Christ Church College. 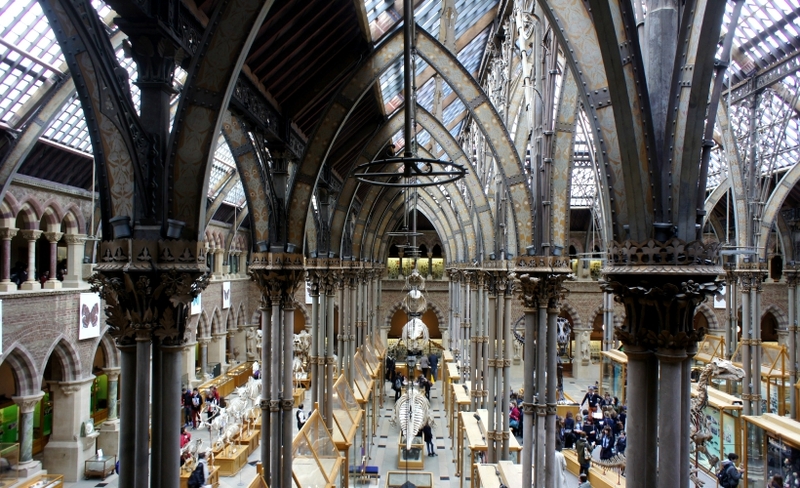 The admission ticket gives access to the Christ Church meadows, the Oxford Cathedral, and Christ Church’s cavernous dining hall where the privileged student elite eat, study and live. Writer Lewis Carroll was one of them. While living in Oxford, he became close friends with Dean Liddell and his family, especially little Alice Liddell. It is widely believed that she was the inspiration for Alice’s Adventures in Wonderland. There’s a famous tree in the garden which Lewis Carroll saw Alice’s cat Dinah climb. From that singularly ordinary event, he created the Cheshire Cat. The small garden door, in Carroll’s imagination, was the magical door that Alice longed to go through. Across Christ Church is Alice’s Sweet Shop, a tiny store packed to the rafters with Alice In Wonderland-themed souvenirs. Though it is now a souvenir shop, according to the Oxford tour books, this really was a sweet shop that the real Alice used to visit. Christ Church also holds significance for fans of Harry Potter; its Great Hall was the inspiration for the grand dining room at Hogwarts while the staircase leading to the Great Hall was used for the movie’s student arrival scene. Blenheim Palace in Woodstock filled up the entire third day of our tour. We were ill prepared for the sheer size and grandeur of the palace, which was a gift to the first Duke of Marlborough (John Churchill) for winning the key battles during the War of the Successions circa 1704. One of England’s Prime Ministers, Winston Churchill, a direct descendent of the family, was born at the Palace itself. 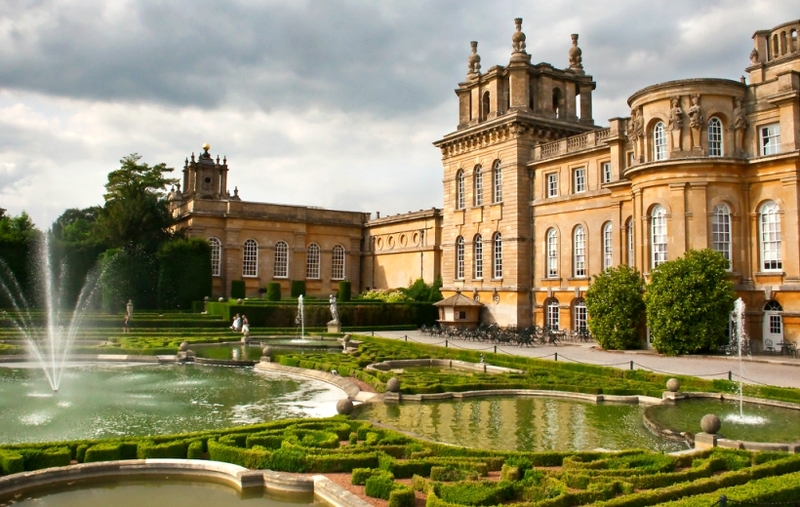 A fun bit of trivia: Blenheim Palace served as headquarters for the British Secret Service MI6 during the second world war. Ian Fleming’s James Bond, anyone? With admission at GBP25, this stop was rather pricey but definitely value for money. Lovingly maintained both inside and outside, visitors will need at least a day to complete the full circuit comprising the palace, the pleasure gardens, the formal gardens and the park. In Bath, home of Jane Austen, guides dressed like Mr. Darcy and Ms. Bennett roam the city centre offering free walking tours (tipping is highly encouraged) of the places described in her novels, Northhanger Abbey and Persuasion. 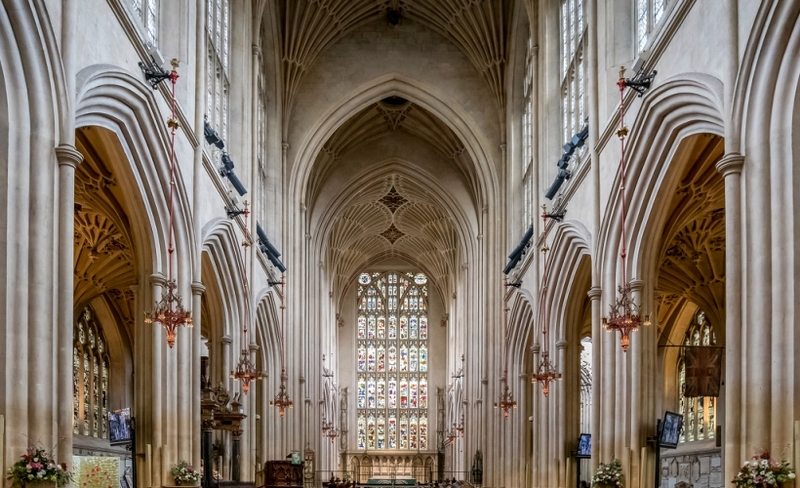 The Bath Abbey, though small, is well worth a visit. It can certainly fill in as the Kingsbridge Cathedral, as depicted by Ken Follett in Pillars of the Earth. Follett described it in vivid detail, though his work is entirely fictional, while the Abbey is the real thing. The graceful stone work, dazzling stained glass windows and the voices of the choir raised up to the heavens during Sunday service combined to form an unforgettable experience. A highlight of this portion of our trip was a visit to Hay-on-Wye, a tiny market town in Wales packed with second-hand bookstores. 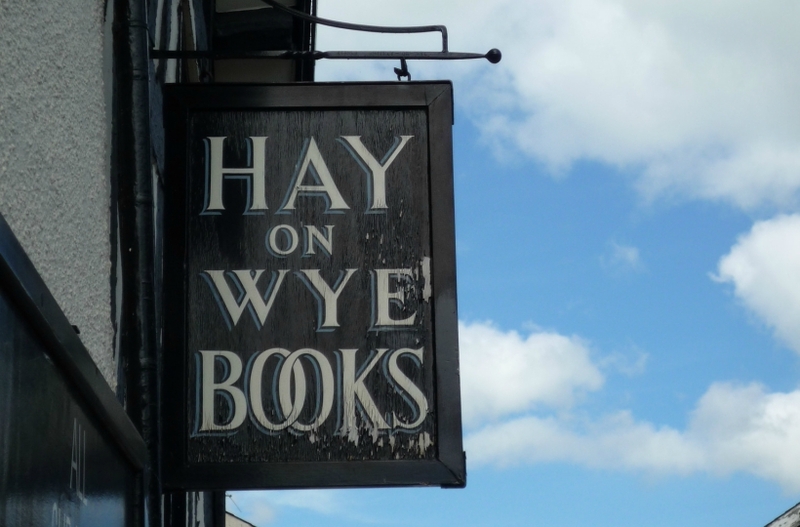 While there are no specific authors associated with Hay-on-Wye, the idea of a book town made a four-hour detour palatable to two bibliophiles. 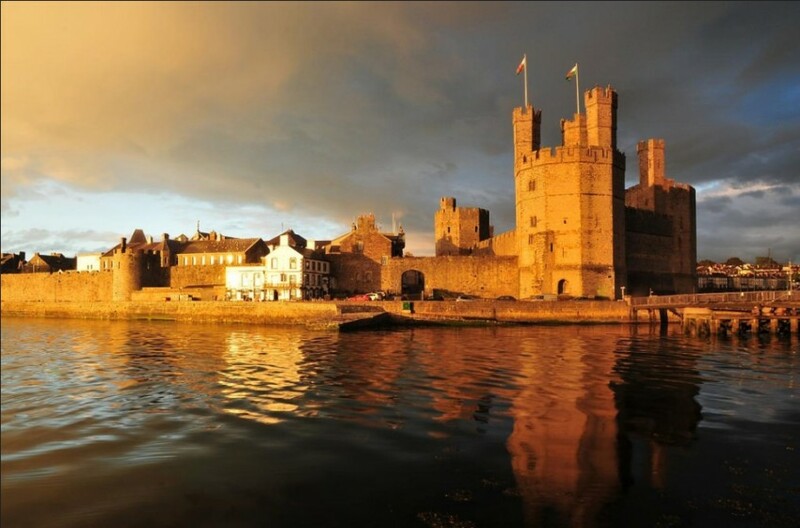 The sixth day brought us to Caernarfon in Gwynedd, Wales. We had become instant fans of Llywelyn ap Gruffydd after reading Sharon Kay Penman’s Here Be Dragons. Chasing after Llywelyn would have been impractical, requiring more travel time than was available. So Caernarfon, with its brute of a castle, was considered a suitable stand-in. There was another bonus to Caernarfon: It was one of the main stations along the Welsh Highland Heritage Railway. The steam train runs from Caernarfon to Porthmadog, a two-hour journey through the amazing landscape of the Snowdonia Mountain Range. Gwynedd also lays a quiet claim to the Merlin myth. Gazing at the emerald woods and the cloud-crowned mountain tops, it was certainly easy to imagine Merlin (now looking suspiciously like Gandalf) striding through the misty forest. The final pitstop was James Herriot country, Yorkshire. Of all the books on our groaning shelves, Herriot’s five compendiums – All Things Bright and Beautiful, All Creatures Great and Small, All Things Wise and Wonderful, The Lord God Made Them All, and Every Living Thing – were the most well-thumbed and oft read. Herriot (real name Alfred Wight) wrote with such humour, warmth, generosity of spirit and humanity that the books can be read and re-read again and again. Driving through the North York Moors, stopping at the charming villages and eventually visiting the town of Thirsk (Darrowby) brought to life the scenes that Herriot had lovingly described in his best-sellers. As the finale, a visit to The World of James Herriot was firmly on the itinerary. This is the actual house where Herriot lived and established his veterinary practice. You get to see the rooms that he described in such detail, including the sitting room, the garden (where his statue now stands), the dispensary, the kitchen and the dining room that often did double duty as consultation room. Upstairs, the tools of his trade were on display and they lend insight as to how difficult the profession was during those early years before the scientific advancements we take for granted today were discovered. In all, we drove over 1,200km around the UK. Along the way, we met the most amazing people and saw vistas that we previously only imagined through words in the books we read. It was a wonderful experience and a trip of a lifetime. My best friend and I got to see our favourite books and authors come to life in sight, smell and sound. There are more authors on our list than there was time to handle. We wish we could have gone south to Devon to enter Agatha Christie’s world or further up north to Scotland where Sir Arthur Conan Doyle was born. But we are grateful that we experienced the trip as it was. Best of all, we emerged from the trip with our friendship intact. 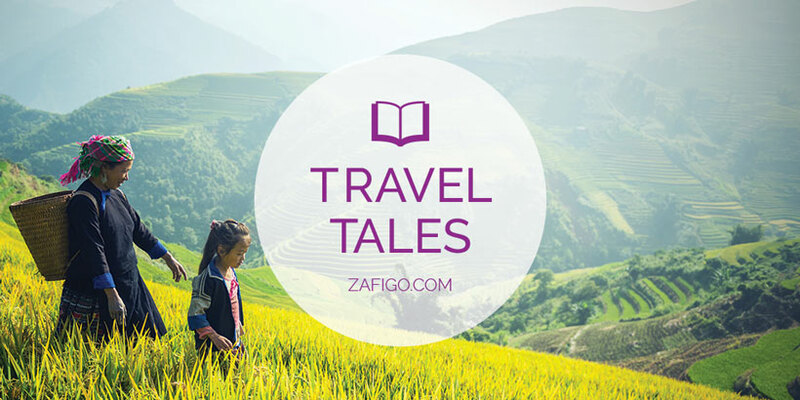 After two decades as the Head of Communications for a motorcycle racing championship, Paulynne has travelled the globe for work but rarely had enough time to pursue her own literary interests. When she grows up, she wants to be a librarian.